Club Advent Calendar 2015 is under-way! 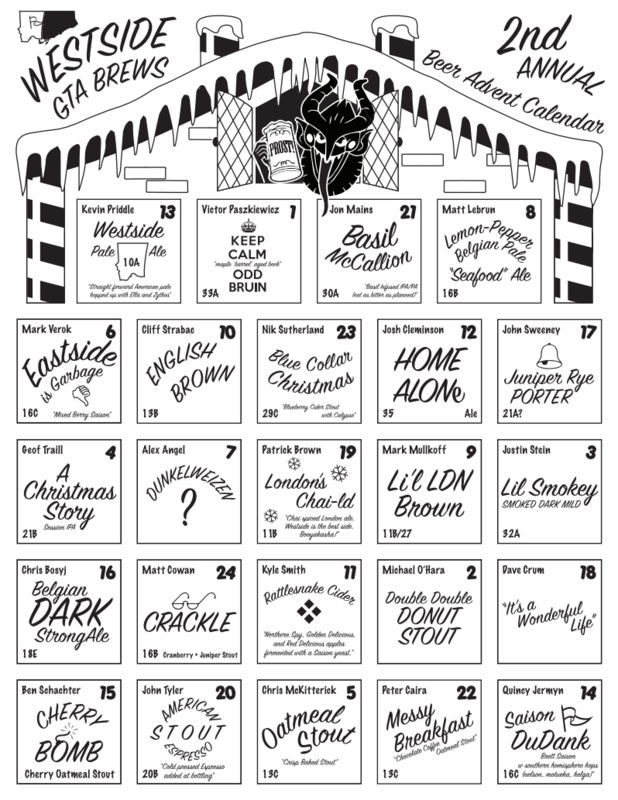 The 2015 GTA Brews Advent Exchange is done and we’re off to the races with two separate advent calendars this year! Twice the size from last year, and twice the excitement! 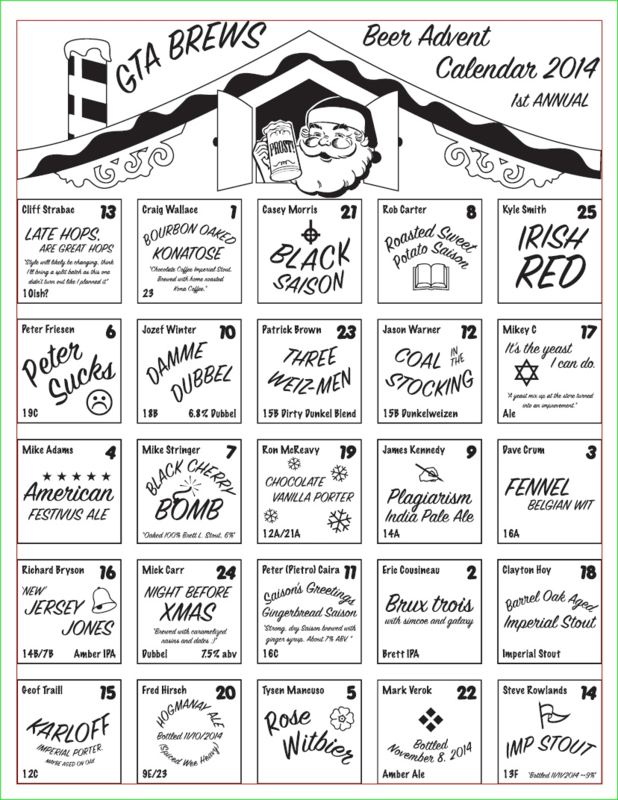 When people think of advent calendars they usually think of candy, but since we are a homebrew club we were thinking beer. 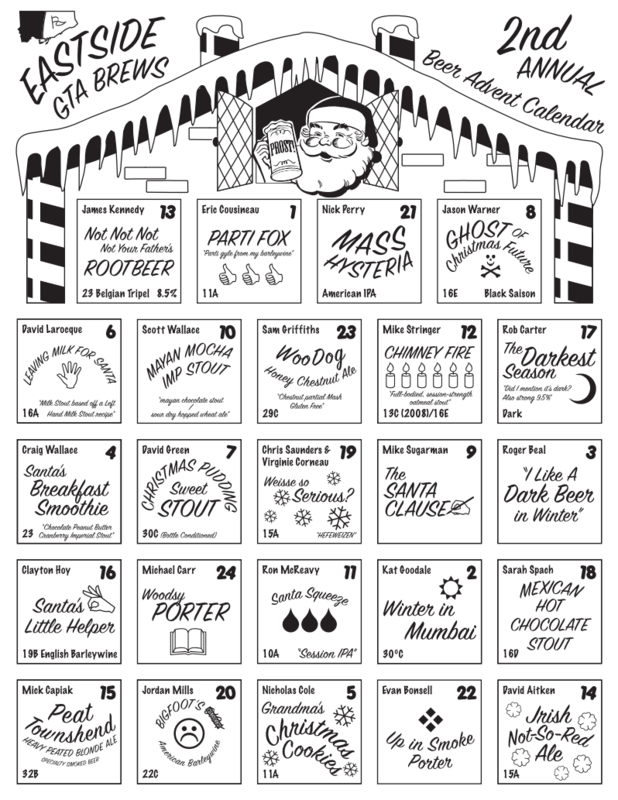 The idea was that we would get 24 people to sign up and brew a beer to put in the calendar. Each person would be assigned a day of the month so that we are all drinking the same beer on the same night, then we can discuss it. James Kennedy put in the effort to make it happen, organizing the exchange and making the calendar below. 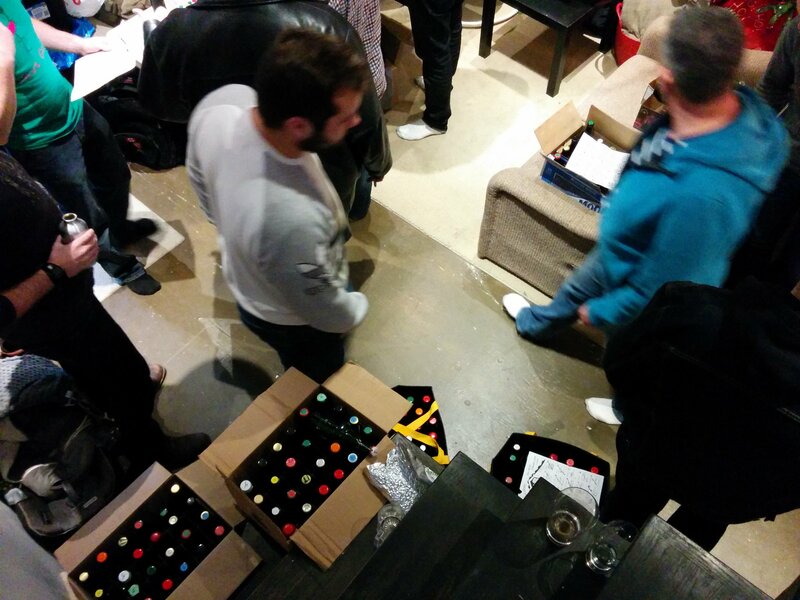 In the end we had 26 brewers participate in the exchange. Here’s to a month of great beers! The calendar schedule for 2014. I took a few blurry pictures of the exchange, it was a bit cramped and everyone was moving around!